Concord Adex is set to take Opus to market. Located at the corner of Provost Drive and Esther Shiner Boulevard, just south of Tango, and to the west of IKEA is where Opus will rise. 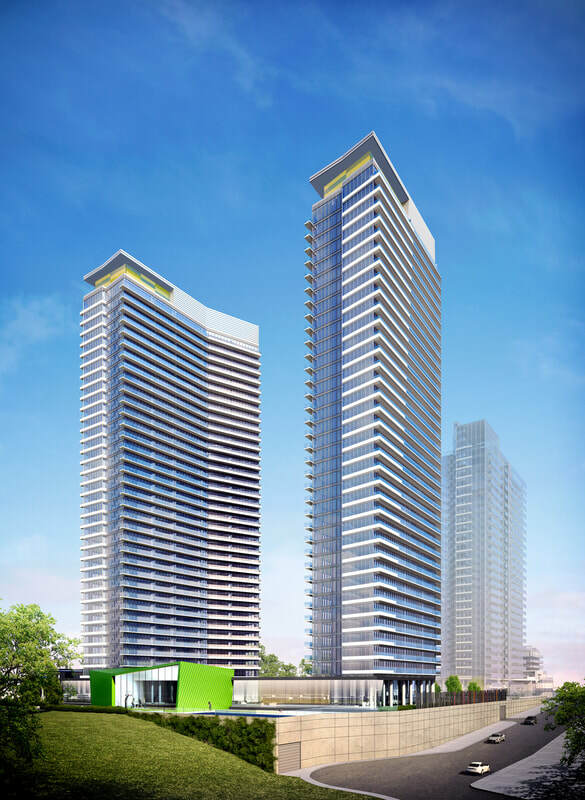 Designed by Page and Steele/IBI Group, Opus will feature two towers, reaching 34 and 35 storeys. Some of the highlights of Opus include a full-sized basketball court, bowling lanes, and a pet spa! The towers of Opus, as you can see from the renderings, are sleek and slender.